Improve your high school student's outdoor skills with training in navigation, wildlife and plant identification, and nature interpretation. 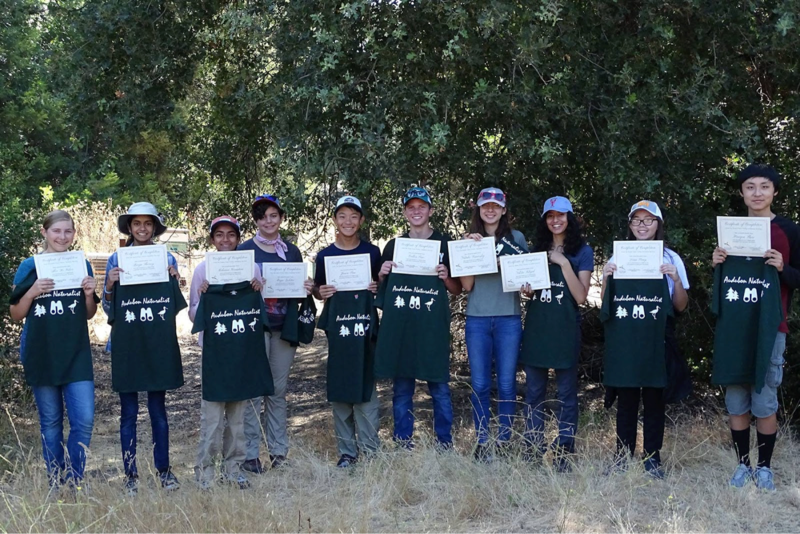 Students will gain knowledge of the ecology of California and confidence in their ability to share that knowledge with others. A certificate of completion will be awarded upon graduation from training, and an Audubon Naturalist certification will be awarded after students have completed training and participated as an Audubon Naturalist in at least three SCVAS activities. This is a great opportunity for students to build their resumes and to learn more about the environment around them. *Payment is due immediately upon registration. Full details about this activity will be sent to the email address listed once registration and payment have been received. Refunds will not be available. Registration and payments by check and cash may be made in person at SCVAS offices at McClellan Ranch Preserve. **A limited number of scholarships are available for families in need of financial assistance. Please fill out the form here to apply prior to registering for training - note that your spots will be held until scholarships are awarded. Completed forms can be returned to Kelly Alfrey via email at outreach@scvas.org or dropped of at the SCVAS Office at 22221 McClellan Rd in Cupertino during office hours.